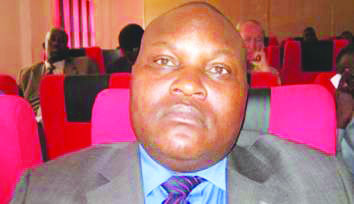 MASVINGO – Prominent Masvingo lawyer, Advocate Tongai Matutu’s political life hang by a thread with no nomination so far for the position of provincial chairman in 16 out of 26 districts where elections have been held ahead of the party’s congress next month. The provincial election machinery is hoping to complete the nomination process in all provinces by this weekend after which the provincial assembly will be held on April 15 2019. The Mirror is reliably informed that James Gumbi the current chairman who is fighting to retain his post against Matutu’s challenge garnered nominations in all the 16 districts. Efforts to get a comment from Gumbi were fruitless. Matutu confirmed to The Mirror that he has received no nomination yet. He lambasted the election process as violent, manipulated and chaotic. He said intimidation is rampant and the process is chaotic. “The way this election is run is like they have taken a script from Zanu PF. I am closely weighing my options on whether I should continue with the election or not. This is totally against my principles. 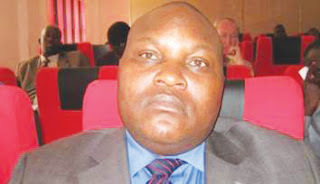 If my participation doesn’t enhance democracy then I will pull out even if I am the most popular candidate,” said Matutu. The MDC Alliance has split into two distinct camps in Masvingo led by Gumbi and Matutu. Both camps are supporting Chamisa for the presidency of the party. The Gumbi executive was however, recently attacked and accused by Chamisa for failing the party in the 2018 national elections where MDC Alliance got just one seat out of 26. The reports indicate that Gumbi is being supported by all current chairpersons. Some members of the party however, are labelling the Matutu camp as a grouping of rebels who dumped the party and stripped it of its property before they left to join splinter parties. “When they left they stripped this party of everything and now they want to come back and take over what others sacrificed for. This will not happen,” said a party member who declined to be named. Elections have been completed in Bikita East; West and South; Chiredzi East, South and North; Chivi South and Central, Masvingo West, Zaka East, West , Gutu South, West and East.